Far worse will come to your Nations, even Australia – Unite with Me in daily prayer: My beads of the Flame of Love and the Rosary of the Precious Blood – Soon the Churches will close and you will need to search out My beloved Priest-sons in the Modern Catacombs of the Houses of Prayer. My Seventh Trumpet you will now proceed to the next part of your Mission; the Church awaits the Trumpet to show them what must be done in these crucial moments. Pope Benedict, the True Vicar Christ; his time to flee Rome is near. Three Glory Be’s – in honour of the Holy Trinity: Glory be to the Father and to the Son and to the Holy Ghost, as it was in the beginning, is now and ever shall be, world without end. Prayer at the end: Mother of God, send forth the Grace from Thy Flame of Love, to the whole human race, now and at the hour of our death. Amen. Each bead of the Precious Blood Chaplet is, as it were, a Chalice filled with the Divine Blood of Jesus, uplifted by Our Lady to the Eternal Father, imploring every Grace necessary for your soul and body. The Seven Mysteries in which we meditate on – the Seven Principal Blood-shedding of Jesus. The beads number thirty three in honour of the thirty three years the Precious Blood flowed in the Veins of Jesus before it was all poured out on the Cross for our salvation. To pray this Chaplet, recite the Our Father on each of the thirty-three beads, completing each of the seven groups with the Glory Be, as thanksgiving to the Holy Trinity for this great gift of the Precious Blood. Oh Precious Blood of Jesus, infinite price of sinful man’s redemption, both drink and laver of our souls, Thou who dost plead continually the cause of man before the Throne of Infinite Mercy; from the depths of my heart, I adore Thee and so far as I am able, I would requite Thee for the insults and outrages which Thou dost continually receive from human beings and especially from those who rashly dare to blaspheme Thee. Who would not bless this Blood of infinite value? Who doth not feel within himself the fire and love of Jesus who shed it all for us? What would be my fate, had I not been redeemed by this divine Blood? Who hath drawn it from the veins of my Saviour, even to the last drop? Ah, this surely was the work of love. O Infinite Love, grant that every heart and every tongue may be enabled to praise Thee, magnify Thee and give Thee thanks now and for evermore. Amen. 1st Mystery: Jesus shed His Blood in the Circumcision. Final Prayer: Eternal Father, I offer Thee the most Precious Blood of Jesus Christ in satisfaction for my sins, for the needs of Holy Church and for the relief of the souls in purgatory. 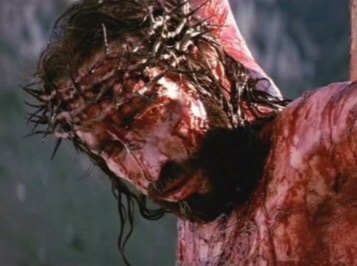 The Holy Face of Jesus In Crucifixion. Most Precious Blood of Jesus, Save Us. You died for me and Your Wounds are my wounds, as I gracefully accept the suffering, which I will endure in the lead up to Your Second Coming. I suffer with You, dear Jesus, as You try to gather all of God’s children into Your Heart, so that we will have Eternal Life.